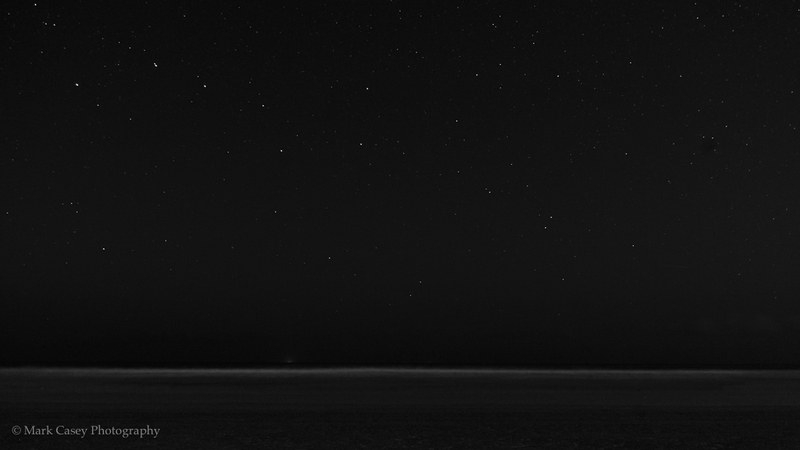 A long exposure image taken on a beach on an exceptionally clear night. There was a significant amount of light pollution from both the left and right of the frame, which is why I had to convert to black and white so I could play a little with the light levels, which worked out quite well in the end. The horizontal line at the bottom of the image is the surf as it calmly rolled in up the beach. The actual horizon can’t be seen on the image, but was a little way above that of the surf.